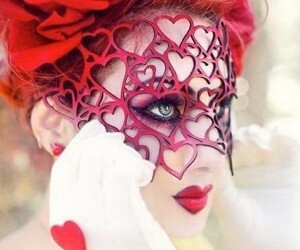 Every girl needs some cheats to help her look her best and stay beautiful. Here are some great hacks to get you looking and feeling fantastic! 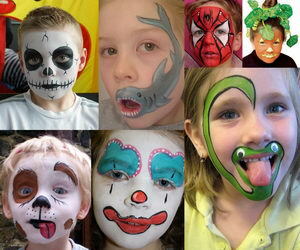 – For a more appealing effect, outline your your lips outside of their natural line. 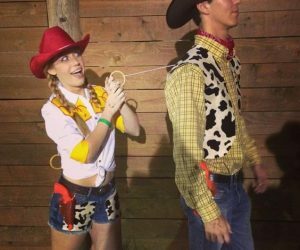 Just make sure it’s only slightly outside your natural line though, because overdoing it could make you look like a clown. 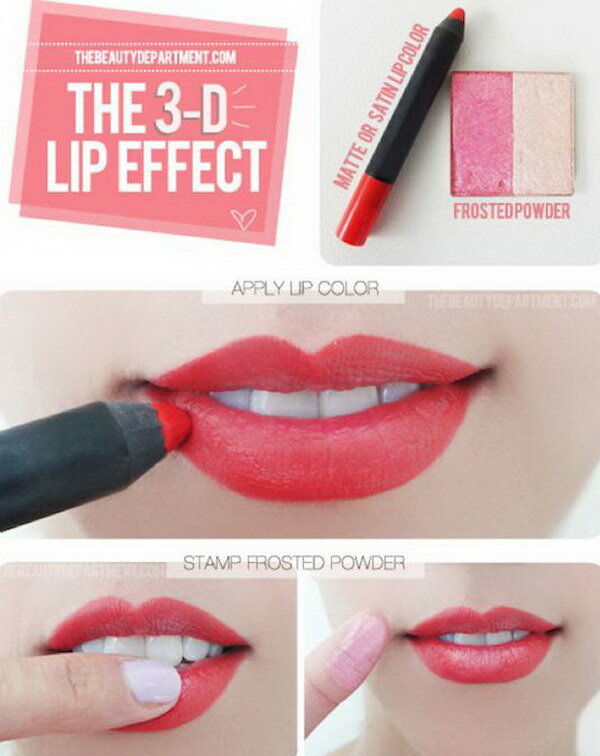 – Get the 3-D Lip Effect – use your finger to apply just a little eyeshadow or frosted blush to the top line and center of the bottom lip – blend gently and voila! – Keep your lips soft and flake free to enhance your lipstick. Use a little moisturizing balm and brush them gently with a toothbrush. -Steer clear of high gloss lip looks. They require constant reapplication and you’ll need to work hard to keep your lipstick on. – Try a lip stain crayon, they glide on easy, won’t give you clown face, and generally don’t require a mirror to give you a polished look. These crayons also have great staying power. – Did your favorite lipstick get crushed or melted? Pop it into an old contact lenses case or get a small pillbox from the pharmacy. – You can get the perfect Cupid’s bow and here’s how: Just make an X. Using any lip pencil, draw a diagonal line that extends down from the highest point of your top lip. 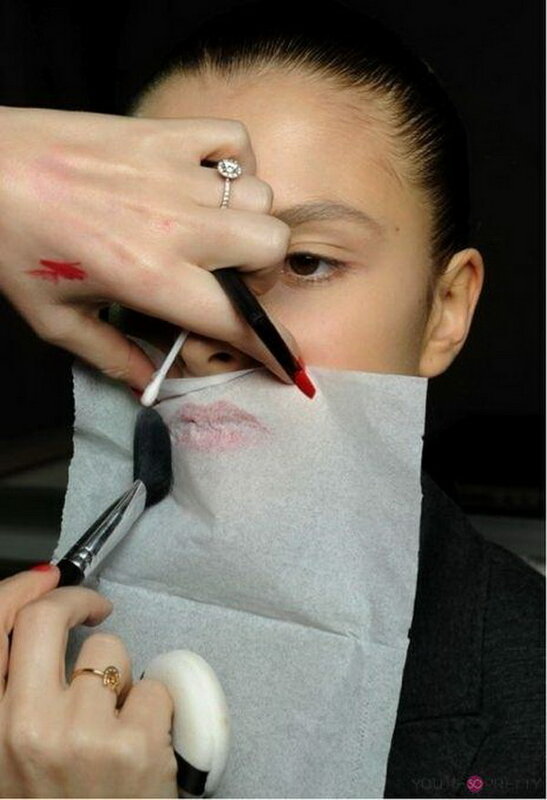 Do the same thing to the other side of your lip, and then continue your lip-lining as usual. 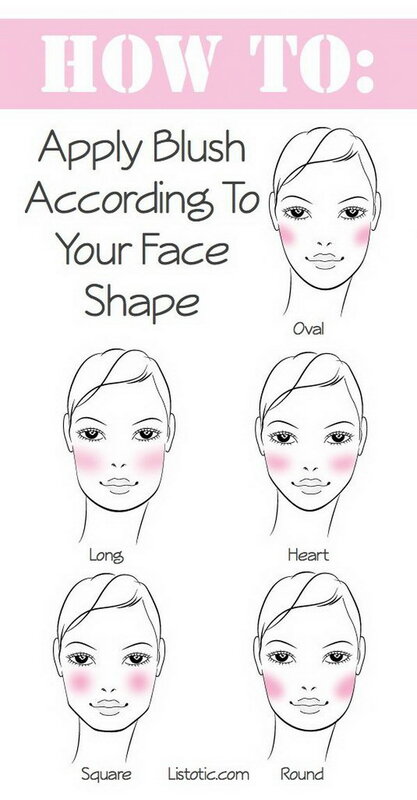 Your pout will be beautifully defined. 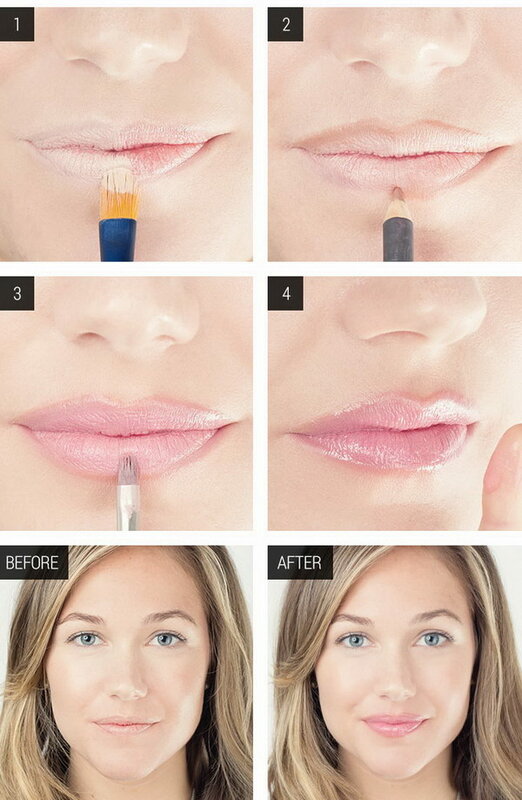 Try dabbing a little lip gloss over your lipstick to make your lips look more plump. source. A simple tutorial on how to get plump lips in no time with cinnamon powder and your favorite salve. Check out the instructions here. Nine steps to lock those lips into place all day long via divinecaroline. Make your lips smooth like butter with this homemade lip scrub before you apply lipstick. Recipes and DIY instructions via rougeimaginaire. 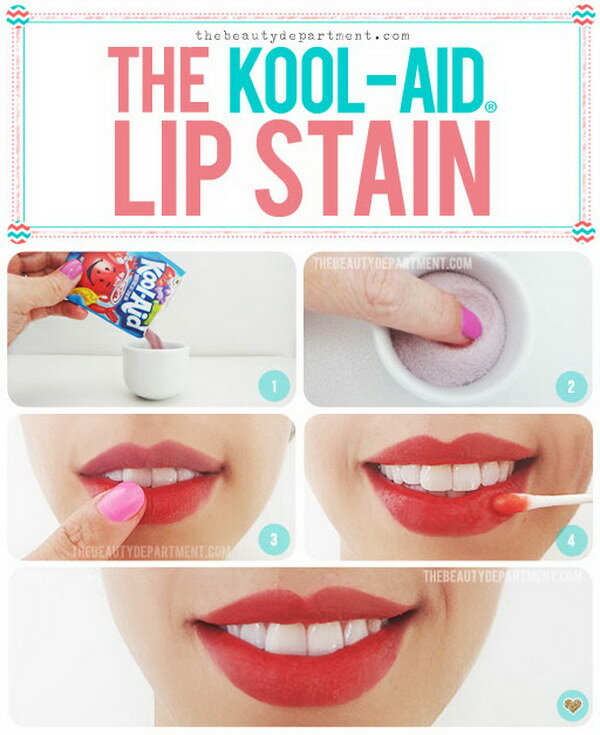 A pretty cool way to get soft and smooth lips. It’s all natural too! This DIY is described to not only exfoliate your lips but also moisturize it just with 7 easy steps. 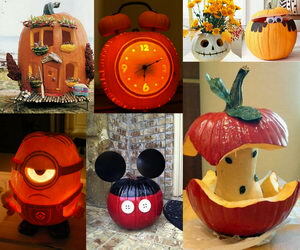 Recipes and DIY instructions here. Tape does a good job to get dry skin off your lips. Get the instructions via thebeautydepartment. After you have applied your lipstick, hold a piece of tissue paper over your lips and lightly dust translucent powder over the tissue. laurenconrad. 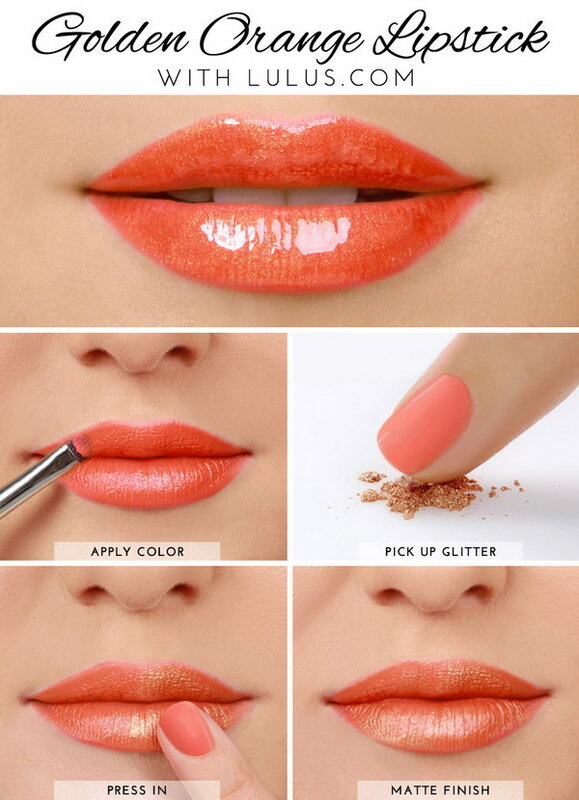 Four simple steps get you a sultry, contoured pout with our pink ombre lip tutorial via lulus. 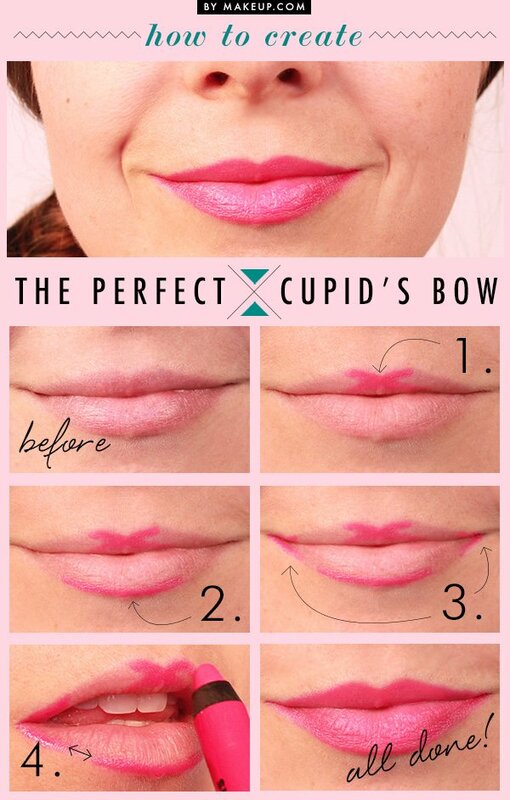 Four simple steps to get the perfect cupid’s bow via makeup. – Doing cats eyes but need a clean line? Use a piece of sellotape or credit card for a perfect finish. – Want to wear colorful shadows but they keep fading, try priming your eyes with a white eyeliner or eyeshadow; this will make your color stand out. – Getting your highlights right can be a make or break with eye makeup. The lighter colors (whites, creams, and pearls) should be applied to the middle of the eye, the inner corners and just under your brow bone. Use your lightest colors first, and then move on to your darker shades. 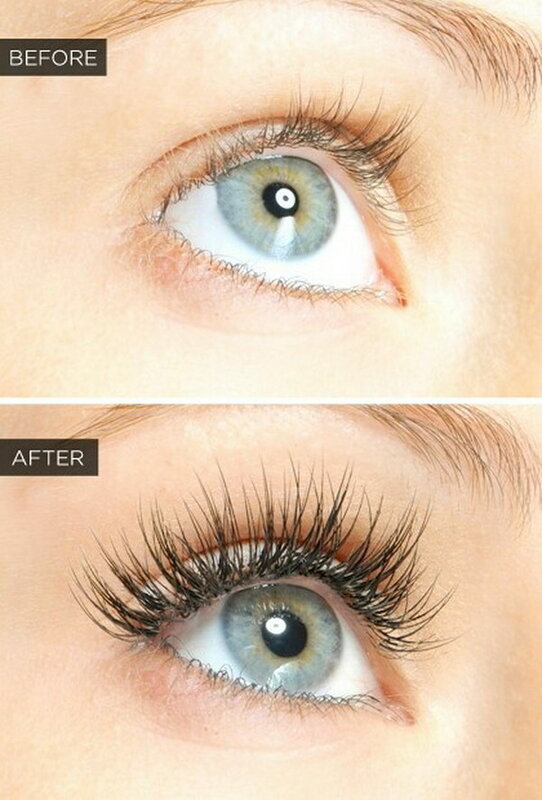 – Nothing looks worse than clumpy lashes so avoid this by not adding more than two coats of mascara. – If your mascara has become clumpy and you haven’t had time to replace it yet, you can add a few drops of eye drops to extend its use. – Use that credit card again! Hold it behind your lashes while applying mascara to avoid getting mascara on your eye shadow. 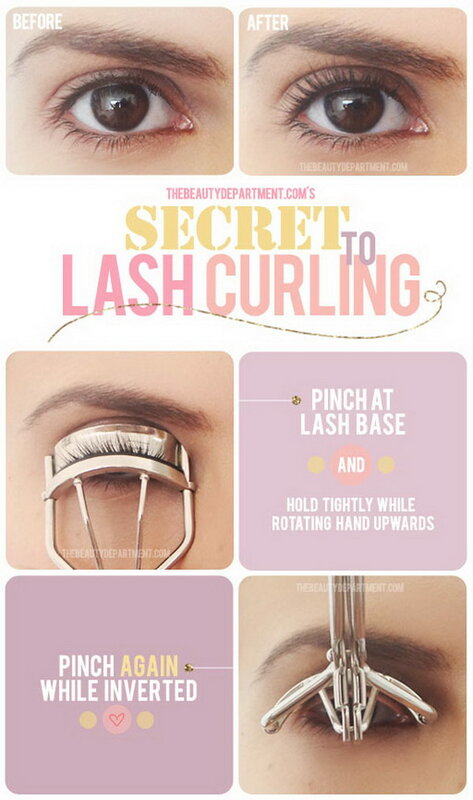 – For the best results when using your lash curler, pinch at the very base of your lashes, then lift up the curler into an inverted position; this creates double the curl and lasts much longer! 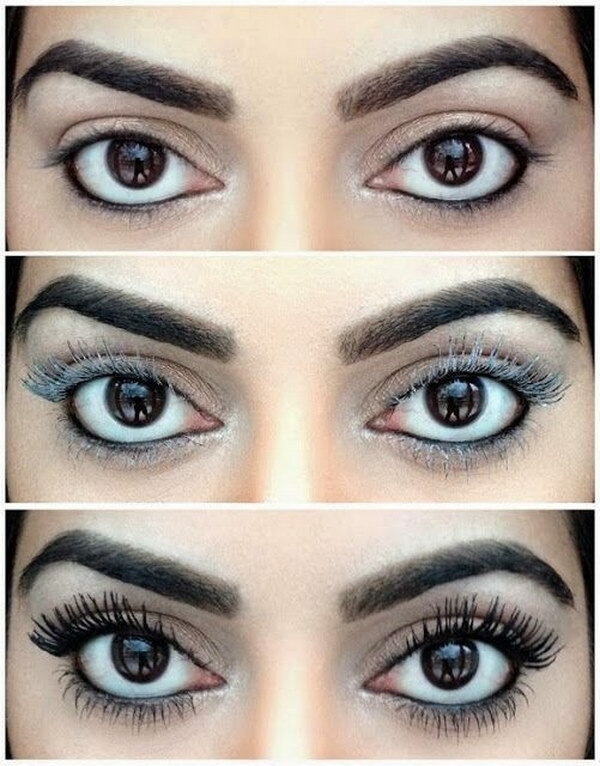 Recipe for longer lashes: Use aloe vera gel, Vitamin E and olive oil to make your eye lash grow longer. notedlist. Add glue directly on the eyelid, instead of the falsies. 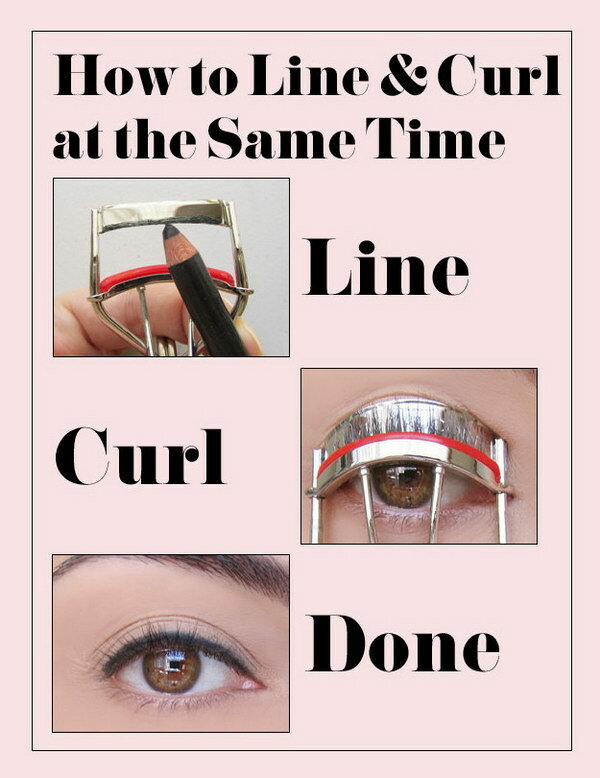 This way you have more control on the glue and the position on the lashes. gurl. – Using a white eyeliner will perk up tired looking eyes and make your eyes appear bigger – bonus! – In a pinch, you can use mascara as the eyeliner. 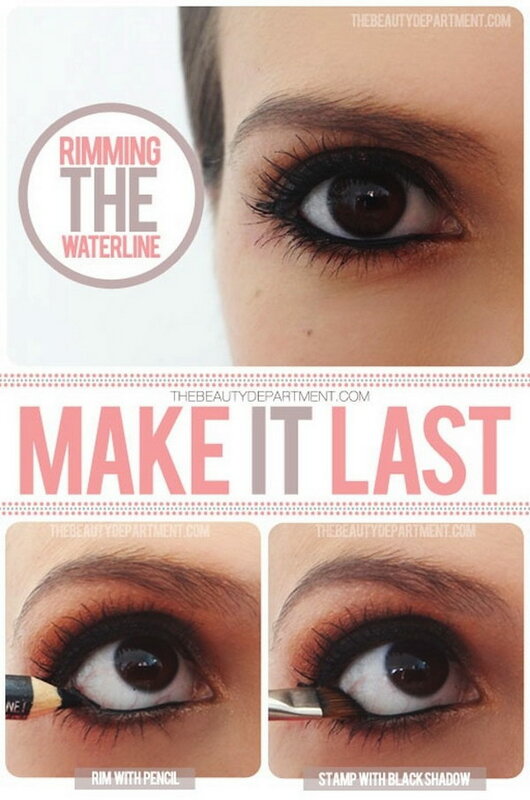 Just use a liner brush. – If you want a smudgy-eyeliner look you can create your own gel liner; just heat up your regular kohl liner over a burner for a few seconds to get a softer texture. 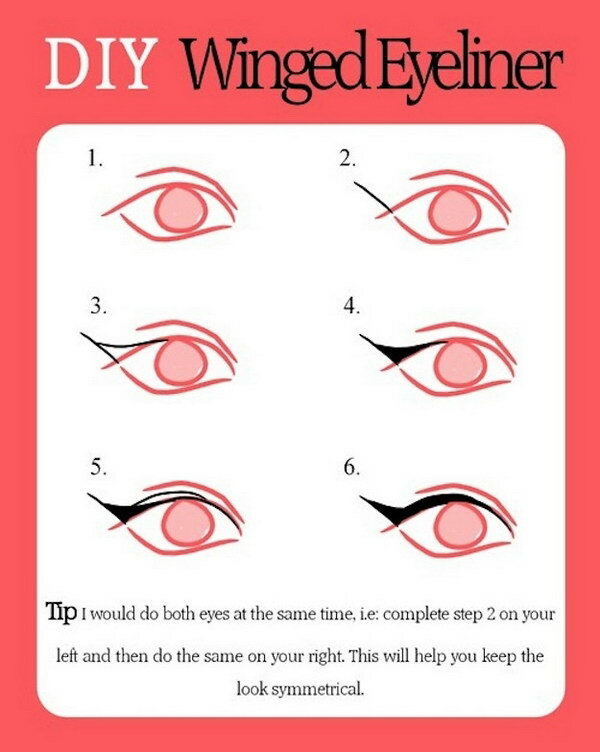 Instead of drawing on winged eyeliner, use your eyeliner pen as a stamp. theglossy. 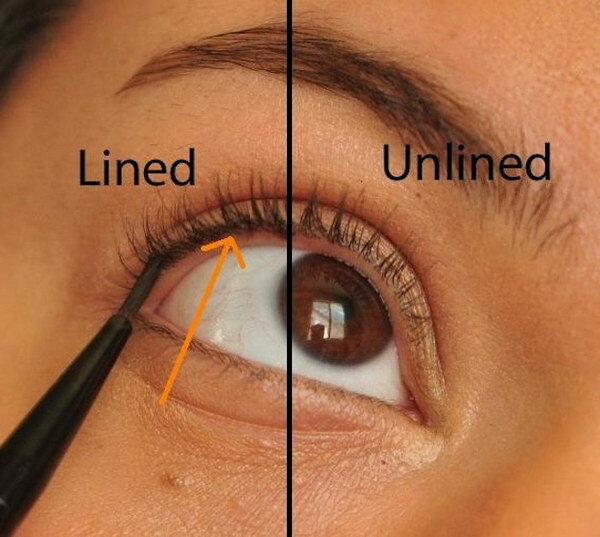 Tightlining is good for those who don’t want to look too “done.” Take a small brush dipped in gel liner or a liquid eyeliner with a superfine tip and dot liner in between your lashes above your waterline for subtle definition. painted-ladies. 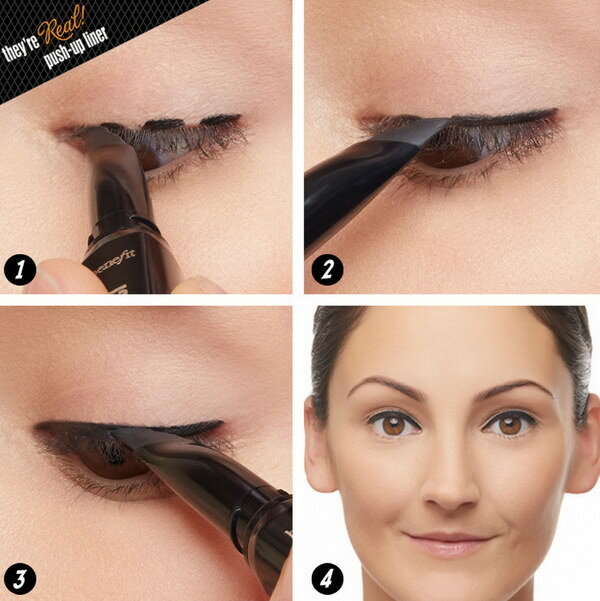 Lock in your pencil with shadow and you’ll find your liner will last SO much longer. thebeautydepartment. 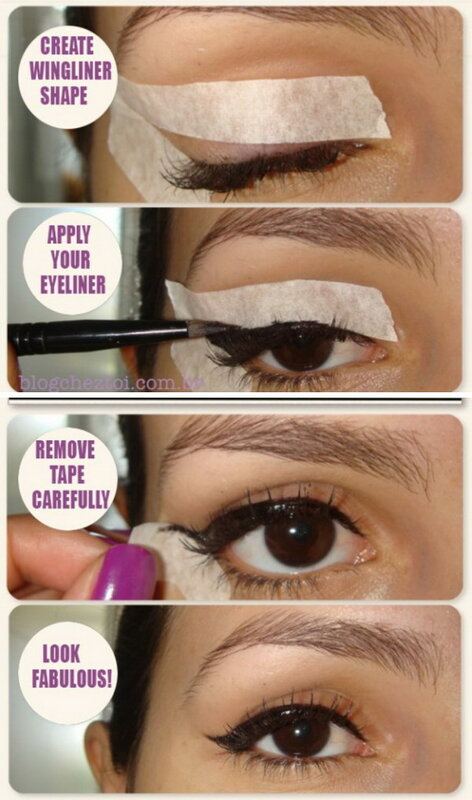 An easy and quick way to create that perfect winged eyeliner applying tape. likes. 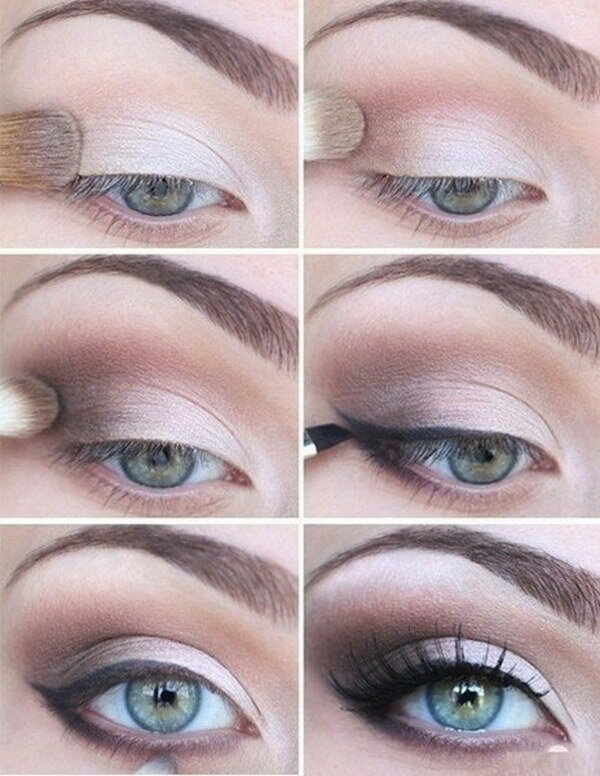 Use eyeshadow and an angled brush for a softer look. beautylish. – Use a tiny drop of hairspray to tame unruly or stray eyebrows. – Do research online to find the most flattering eyebrow shape to flatter the shape of your face. Not all eyebrows were created equal!- Draw an arch above your eyebrow with a highlighter, and blend using your finger to create the effect of your eyebrow archs looking raised. Also, it makes your eye area look lifted and fresh. – Don’t throw away old mascara brushes! Wash them and use them again use them as eyebrow brushes. 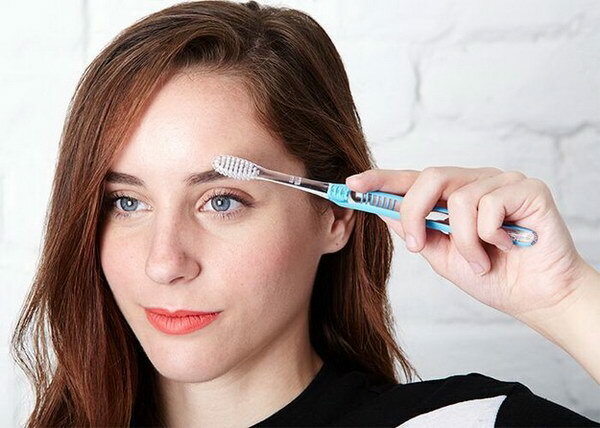 Put hairspray on an unused toothbrush and use the bristles to comb your eyebrows.birchbox. 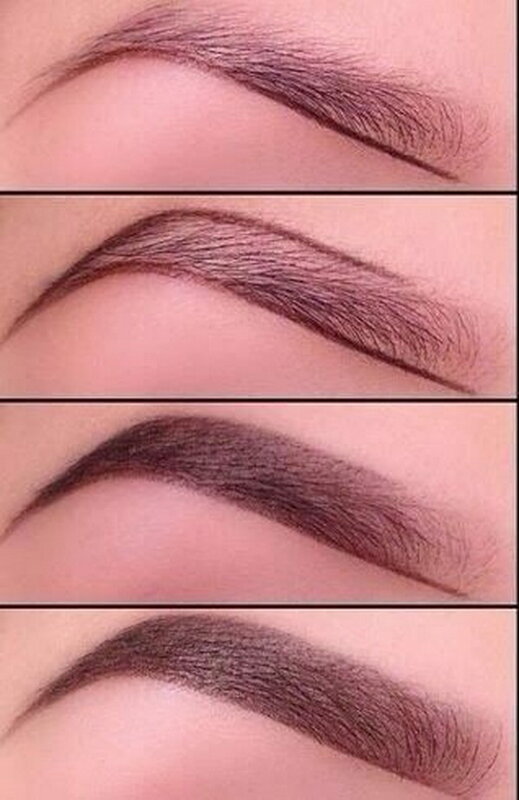 Some solid guidelines to find the best eyebrow shape for your face. birchbox. 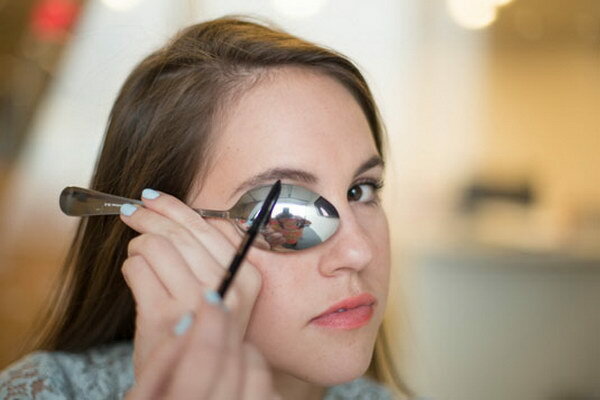 Get crisp and clean eyebrows using homemade eyebrow gel. This DIY version is a natural alternative to the drugstore gels made with chemicals. This recipe uses natural ingredients that you can easily find to keep those stray hairs in control. ehow. – Always wear something over your clothes to prevent getting makeup on them during application. Try an old T-shirt or towel. – Remember that concealer goes on after foundation and not before. 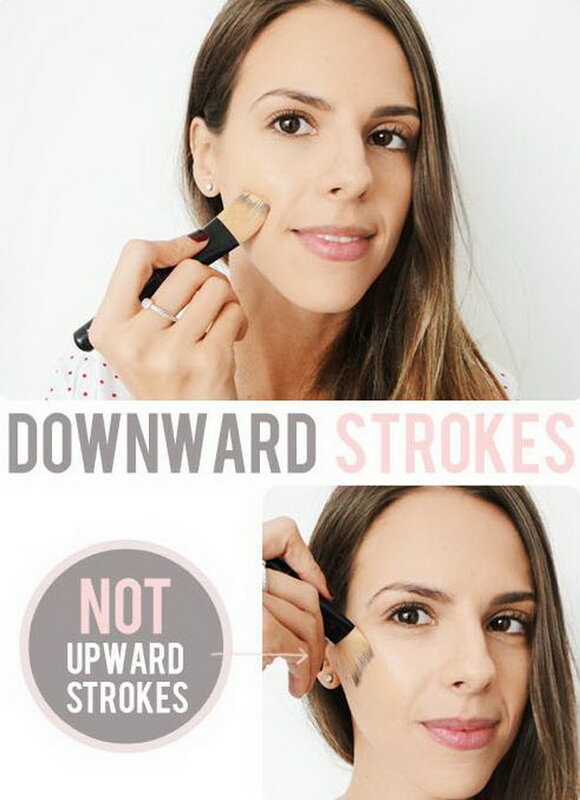 – To avoid streaky foundation apply your makeup with downward strokes. – When you choose foundation try to match it to your neck – this is because your neck receives less sun and therefore is closer to your natural color. Instead of using that bulky tube of concealer to cover your blemishes, rub a bit of it on an eyeliner brush (or any slender brush) for more precise control. Don’t forget to blend the edges with your finger! thebeautydepartment. 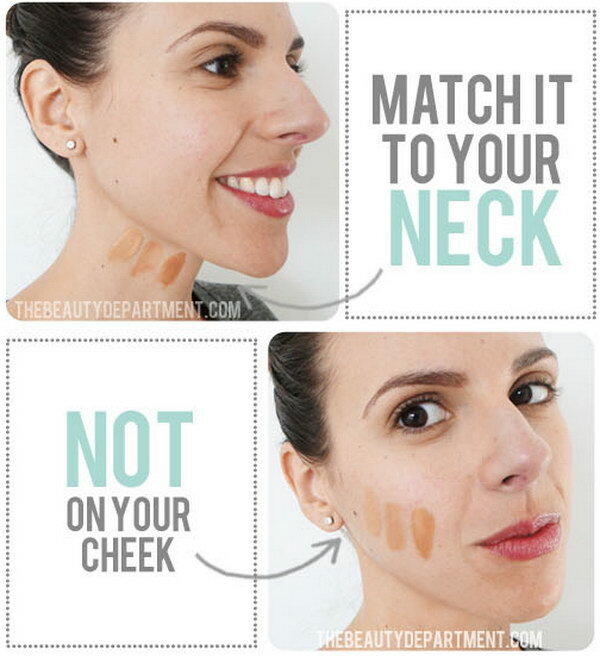 When looking for the right foundation color, test the foundation on your neck instead of on the back of your hand. thebeautydepartment. 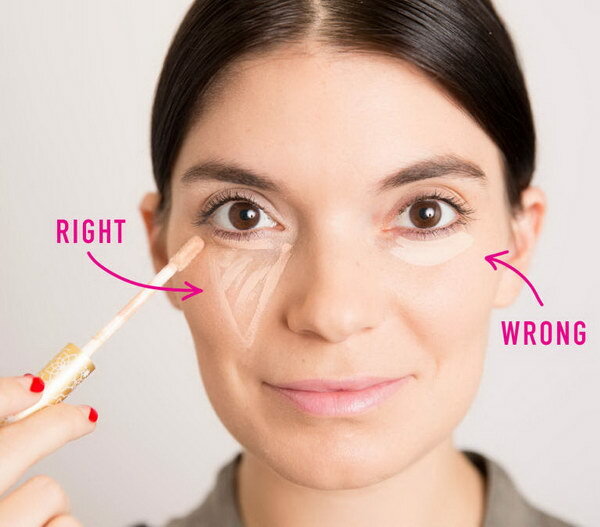 The most flattering way to apply concealer is to draw a triangle with the base under your eye and the point toward your cheek. cosmopolitan.